Here are three pieces related to the them of Angels. 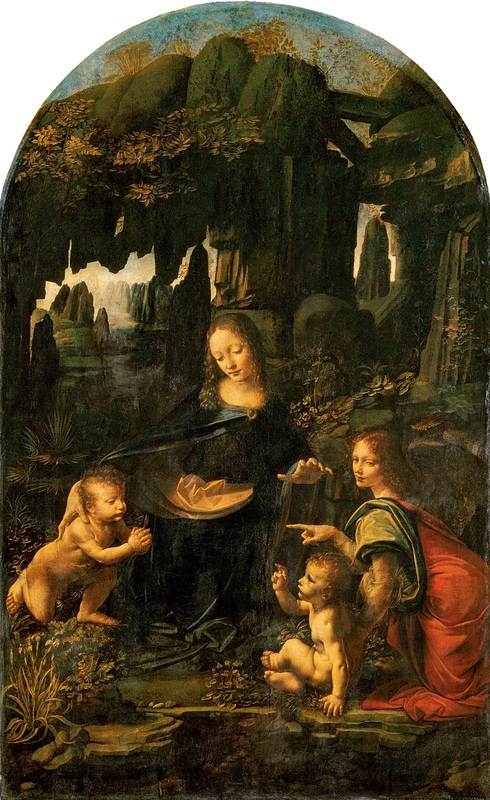 The Virgin of the Rocks (sometimes called the Madonna of the Rocks) is the name used for two paintings by Leonardo da Vinci, Both paintings show the Madonna and Child Jesus with the infant John the Baptist and an angel, in a rocky setting which gives the paintings their usual name. Who cannot be impressed by Leonardo, perhaps one of the most diversely talented men in history. He was a painter, sculptor, architect, scientist, musician, mathematician, engineer, inventor, anatomist, geologist, astronomer, cartographer, botanist, historian and writer. Lastly, here is Angels by Robbie WIlliams.